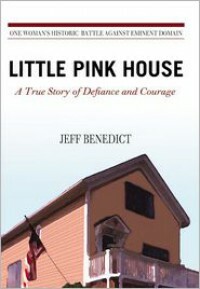 This book is a novelization of the eminent domain battle that led to the 2005 Supreme Court decision. The dramatization of the story leaves a pretty clear sense that the whole story has not been told. It's a strange form to use for this story - it seems that a non-fictional account would be convincing enough. However, the story itself is compelling, if you're not familiar.